Of the many different districts which link together to create the wider areas of Bournemouth & Poole, the peaceful residential area of Redhill Heights is certainly one of the most sought-after, being within close proximity to the excellent local schools Epiphany & Hillview, also with Castlepoint shopping centre & Bournemouth University within easy reach. The buyers of this 2 bedroom bungalow had researched the area from their previous home in central Bournemouth, and decided that Redhill Heights was the place to be. The conveyancing process was very quick and straightforward, and within just 2 months of being instructed to market the property, the new buyers moved in. The Bungalow Centre was instructed to market this beautiful bungalow in August, and within 6 weeks an offer was accepted and, with no fuss at all, the sale was followed through smoothly. As you can imagine, both buyers and sellers are delighted.What more could you want? 3 bedrooms and a lovely Kitchen/Diner with integral oven and hob; from the Dining there being sliding patio doors opening on to the easily manageable pretty rear garden. There is also a charming Lounge with ‘Living Flame’ coal-effect gas fire and a super modern Bathroom with bath and electric shower above. We were delighted when we received the instruction to market this lovely 4 bedroom detached bungalow on Magna Road in Bearwood. Set in the gardens approximately 150ft, it enjoys views over the surrounding countryside from the bottom of the garden. This highly desirable property boasts a Detached Garage & Workshop, an attractive brick-paved driveway and turning area, pretty arbor and a super vegetable garden. We agreed a sale on the property to a local couple who were aware of the benefits of living in the Bearwood area, being approximately midway between Bournemouth & Poole. 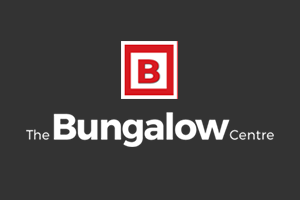 When it comes to selling a bungalow in the Bournemouth area, there are plenty of Bournemouth estate agents who could come along and dramatically over-value a property purely in the interest of their own self-promotion, this then leading to the bungalow coming on the market at a grossly inflated price, and will end up selling for a lot less, leaving the vendor disappointed having believed the agents’ opinion from the original valuation. 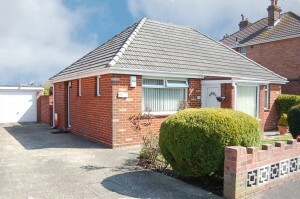 However with this lovely 2 bedroom Bear Cross bungalow, the vendor was delighted that The Bungalow Centre had given her an accurate and honest reflection of the propery’s market value, and the very first viewing led to a sale, with the buyers paying very close to the asking price. Contemporary Park Homes are substantially different in design and building quality to the old ‘mobile homes’ of days gone by. This absolutely beautiful residence boasts magnificent accommodation, with a whole host of fitted furnishings, integrated appliances and luxurious touches all over. Not only that, but it is set in a friendly site between Ringwood & Christchurch, with the lovely backdrop of Ringwood Forest surrounding the site. Our buyers were delighted to have their offer accepted, and are anticipating a moving date very soon. If this is the type of property you are searching for, then please do call us today so we can introduce similar properties to you. Bungalow Specialists celebrate ‘The Triple’! Sale agreed despite not having a telephone! One morning this Summer we received a phone call in our office from an elderly gentleman who had just sold his flat in Weymouth and was very keen on taking a look at this bungalow on Herbert Avenue. The only trouble was, he did not have his own transport, or any form of telephone! We arranged to collect him from Poole railway station, whereupon we drove him to and from the bungalow, agreed a sale the same day, and ensured that the moving process for both the buyer and the vendor went smoothly and successfully. The new buyer moved in recently, and has since informed us that he now has a new phone! 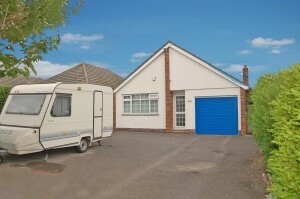 It doesn’t take a Merley agent to sell a Merley bungalow! When it comes to selling your property, many people instantly regard their nearest estate agent as the first choice. 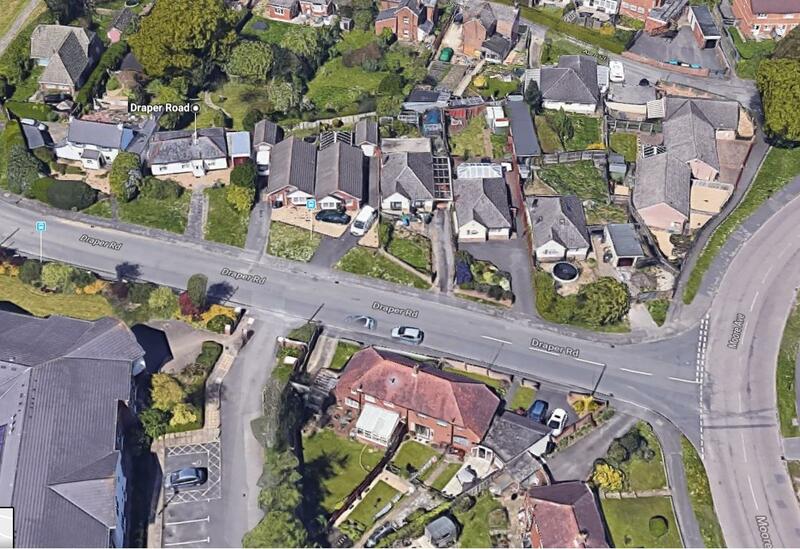 However, on this case the instincts of a couple from Merley to instruct a Bungalow Specialist who covers a considerably wider area than other agents, certainly paid off. Since the new owners have moved in, a member of staff from The Bungalow Centre visited the couple in their new home, and they were singing the praises of the bungalow and the delightful village surroudings they had moved in to. This just goes to show that your choice of agent should be based on the quality of their service – not just where their office is! This modern detached bungalow really does have a great deal in its favour, boasting three bedrooms, a generous size garden, and being situated at the head of a quiet cul-de-sac in the popular area of Oakdale, just a couple of miles from Poole town centre. Only trouble is, it was advertised on the market in need of refurbishment. This did not deter our buyer, who bought the property and has since moved in and begun the modernisation process. We recently received a letter from our vendor, to congratulate us on our excellent service – a positive outcome for everyone involved! We received instructions to market this bungalow by the local Reverend, who had owned it for over 20 years. He had just been to view a flat in the centre of Ferndown which he felt would be far more suitable for him than to stay where he was. We quickly found a buyer who was re-locating over to England from France, and with the wonders of modern technology, we kept in touch with them regularly via e-mail. Since the date of completion, the Reverend can now enjoy an easier pace of life, with lower maintenance in his new flat, whilst our buyers have the size of property they have always wanted, and the garden of their dreams.